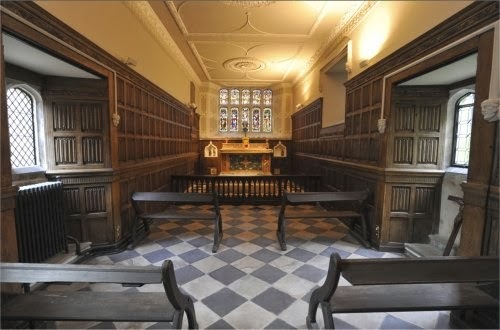 One of the great Catholic recusant homes, Sawston Hall in East Anglia was a base for Fr John Gerard SJ, has a priest hole built by St Nicholas Owen (along with two others), had St John Rigby as Estate Manager, and was a place of hiding for Queen Mary, evading the Duke of Northumberland on her way to claim the throne. It is in fine condition and is now up for sale. An article in the Cambridge News: Heritage group in £4.75m bid to buy Sawston Hall - and to open it to the public reports on the campaign to raise £4.75 million to buy Sawston Hall and make it a Catholic heritage centre with facilities for study and open to visits from the public. This is a wonderful opportunity to promote the study and understanding of this important part of our English Catholic history and to foster devotion to the martyr saints and other courageous Catholics who kept the flame of faith alive under persecution. To support this campaign, see the website Save Sawston Hall. Photo credit: Cambridge News. For full resolution photos see the slideshow there.